If you&apos;ve been waiting for just the right home to hit the market, your wait is over! 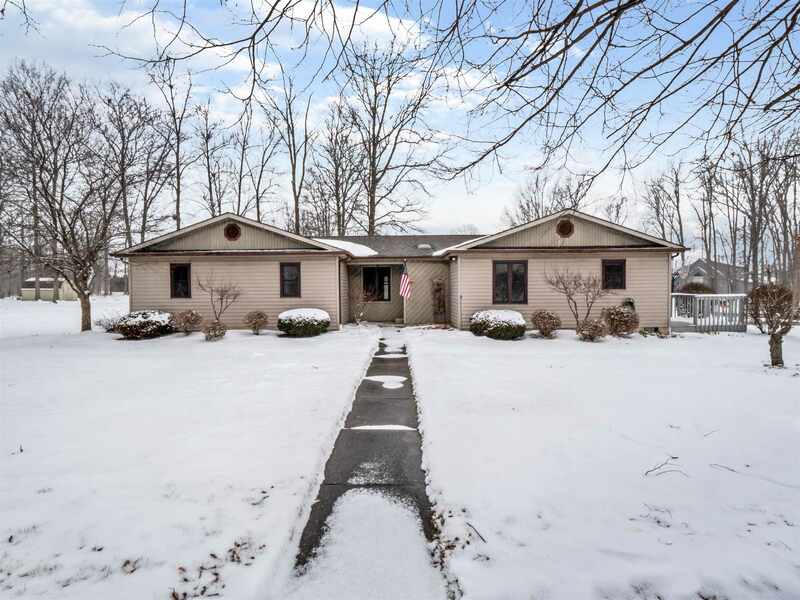 This well maintained 3 bedroom/2 bathroom ranch is move in ready! All of the expensive upgrades are done! New tear off roof in 2006, new high efficiency furnace/A/C in 2011, New windows, flooring (laminate throughout), brick patio (20 x 20), and custom blinds in 2014. The front foyer is spacious and welcoming. The kitchen is a dream with all appliances included along with an island and a charming pot rack! The separate dining area is large with room for a table and buffet. You will enjoy the living room with doors that open onto the adorable brick patio. The master bedroom is an ensuite with a walk-in closet and bathroom. The outside living space is made for entertaining! The yard is huge with plenty of room for outdoor fun! There&apos;s enough trees for shade and enough sunshine for a garden. The heated garage is a great man cave with plenty of storage, workspace, and pull down stairs to a partially floored attic. The garage furnace is separate from the house and has it&apos;s own thermostat. The utilities in this house average $183.00/month for gas, electric, water, sewer, trash making this very affordable! Schedule your private showing today!